Sanyo Gutiérrez and Maxi Sánchez took on Miguel Lamperti and Juan Mieres in the final of the third Master of the season on the World Padel Tour. A clash between the number one and six seeds. 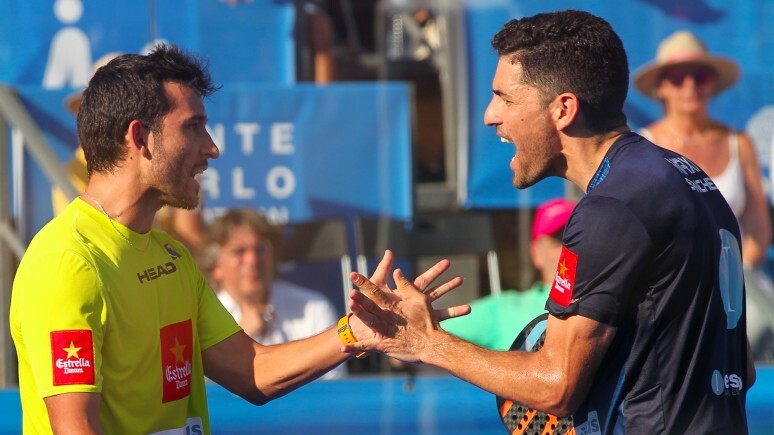 Both pairings have had their struggles and beaten all kinds of pairings en route to the final and their only previous meeting this yeare took place in Valladolid, where Sanyo and Maxi won 6-1 / 6-2. But both duos are experienced enough to know that a final in a Master is a whole different kettle of fish. In fact, it was the pairing from Bahia Blanca who claimed the first break and they maintained it almost throughout the whole set. That's when Maxi Sanchez emerged with one of the points of the tournament to force a tiebreak. And here, Sanyo and Maxi came out on top. 7-6 for the pairing from San Luis. The all-out battle continued in the second set. Mieres and Lamperti didn't want to waste this huge chance in Portugal, while Maxi and Sanyo had their sights set on the number one ranking. At 5-5, Gutierrez and Sanchez pulled away and won 7-5 to claim the title. The 'Shark' and the 'Wizard' of San Luis go top of the WPT rankings. Sanyo Gutierrez and Maxi Sanchez are the champions of the Oeiras Valley Portugal Padel Master.